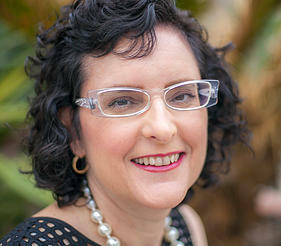 Joanna J. Charnas is a social worker with twenty-six years of experience as a licensed mental health provider. She received her master’s degree from Boston University School of Social Work in 1988 and has earned the highest level of social work licensure in Massachusetts (Licensed Independent Clinical Social Worker, 1991) and California (Licensed Clinical Social Worker, 2001.) She has worked in numerous service sectors, all of which placed fragile people in her care and enhanced her clinical acumen and skills. Since 1995, she has worked specifically with people with mental and physical illnesses. Charnas has written numerous academic papers as well as manuals for program and department employers. Her book, Living Well with Chronic Illness, was released August 25, 2015. Follow the author’s blog here.